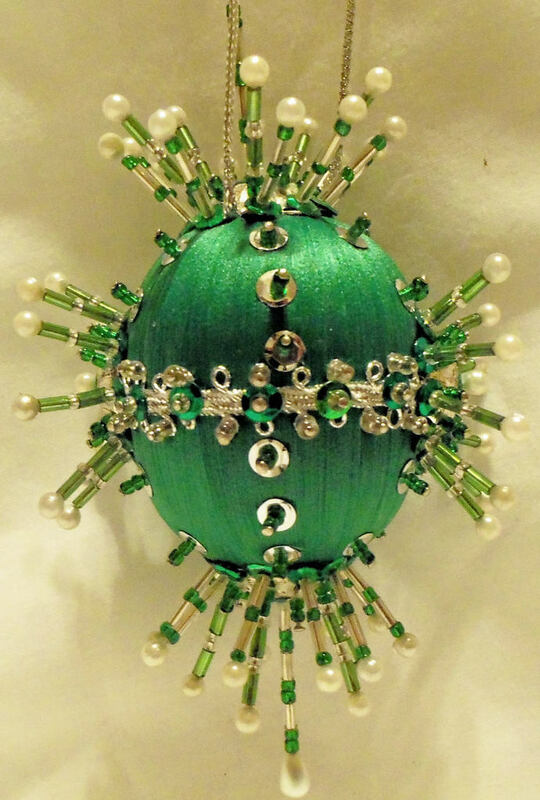 The beautiful handmade green satin ornament is made from a egg shaped polystyrene form. There are green spangles, silver & green sequins, silver rick rack, pearls and green seed beads decorating the oval shaped ornaments. The ornament measure about 9 inches in diameter and 9 inches long including the hanger. If you have any questions please feel free to contact us before making your purchases. Thank you for visiting us and please come again. We are constantly adding new items.